See also batch #5601 Sybil's Place which is next door. DO NOT MAKE A BOOKING REQUEST IF YOU ARE NOT YET SURE YOU WANT THE ACCOMMODATION. RING or TEXT FIRST!!! For Xmas - New Year Peak period, please call me or ask a question online, we are looking for responsible family groups. 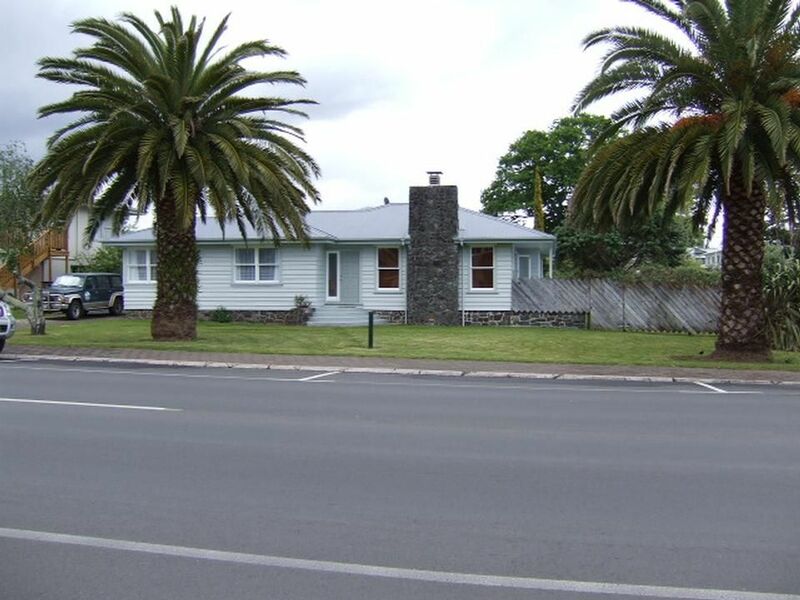 Prime location 70 metres to beautiful Buffalo Beach, 150 metres to town centre for shops, bars, restaurants, 250 metres to Wharf, ferry and boat ramp. For larger groups, we also have bach #5601 Sybil's Place (sleeps 10) which is next door. Rent both. Kept clean and tidy by professional cleaners. Bait freezer can be supplied. Outdoor shower (hot) for the divers and sandy kids. Next door to Four Square, Buffalo Beach Takeaways, and Jandels Cafe. Easy walking distance to all amenities including 'The Lost Spring' thermal pool complex. Linen and Cleaning services areincluded. See also: 5601 'Sybil's Place', located adjacent to Publican's but in Eyre Street, great bachy accommodation for small or large groups. A deposit is required, and a refundable damage / cleaning bond applies to all bookings. Extras: Cleaning (Required, NZ$65.00 per stay); Linen (Required, equivalent of NZ$10.00 per person per stay); Both included in quoted figure. LOCATION! Clean. Clutter free. Dedicated holiday rental property. This is not someones bach that are allowing you to share. GST registered owners. Bed linen provided. Beds will be made up ready to use. Plenty of off street parking in driveway and on front lawn. Bath towels and kitchen linen provided. Please bring your own beach towels. Totally suited our boys fishing trip, being well kitted out and in the perfect location. Will definitely be back! This place is in a perfect location, can’t fault our stay at all. I would highly recommend it others. Thoroughly enjoyed our stay here. Thoroughly enjoyed our stay here. The house was so comfortable and clean and modern, and it suited our needs perfectly. Would definitely stay here in the future.